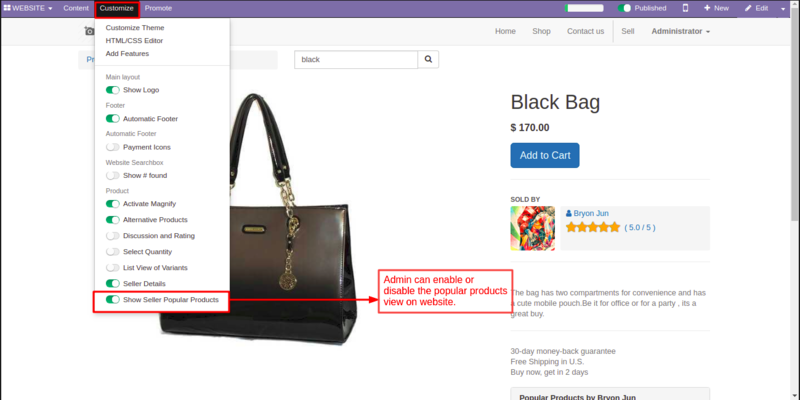 Odoo Marketplace Other Products by Seller On Product Page – Odoo Marketplace Other Products by Seller On Product Page is a module which shows other products of a seller on the product page. 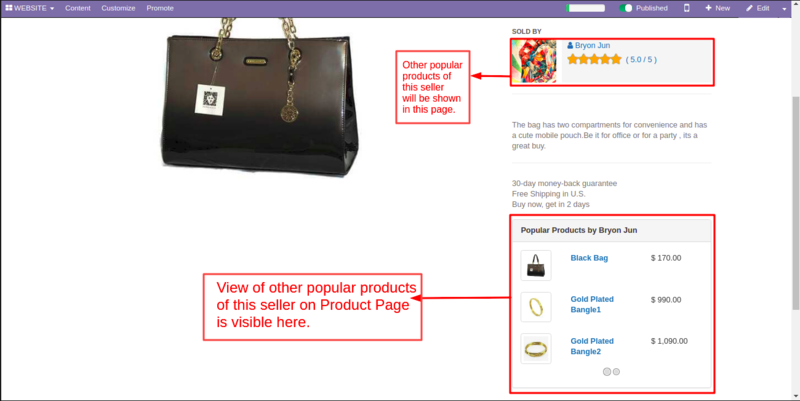 Suggest more popular products of sellers to your customers (upsell strategy). By default, the popular products will be shown on the basis of the number of products sales of the seller. With the help of Odoo Marketplace Product Suggestion, you can develop a brilliant approach to increase the chances of up-selling and cross-selling which will boost your revenue from an impulse purchase. 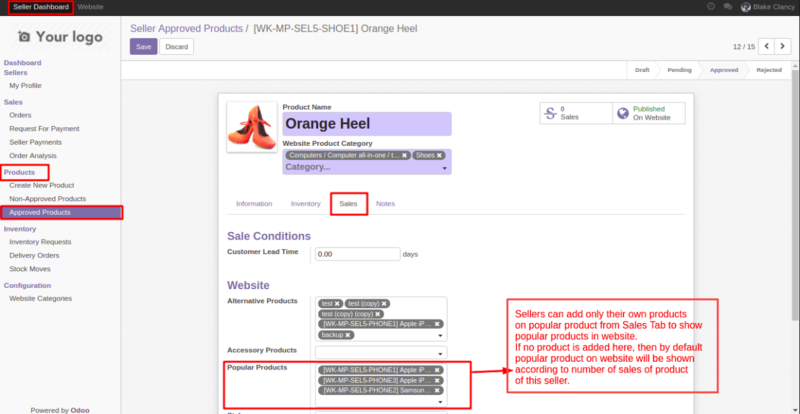 Note: This module is dependent on Odoo Multi-Vendor Marketplace in order to use “Odoo Marketplace Other Products by Seller On Product Page” module you need to purchase this module also. After buying this app from our Webkul store you will get the link for downloading the zip file. Simply download it and extract then you will see the marketplace_other_product folder, now you will have to copy this app folder inside your Odoo addons path. 3. Remove the app’s filter and search for the marketplace_other_product key. Let us check the working of this module. Admin can add the popular or trending products from Seller Dashboard>>Approved products>>Sales Tab>>Popular Products. In the case of any of the product if there is no product defined on the popular product then according to the number of sales the products will be displayed on the website. Same way as the admin a seller can also Add popular or trending products from Seller Dashboard>>Approved products>>Sales Tab>>Popular Products. And if no product is added to the field of the popular product then by default depending upon the number of sales the products will be displayed on the website. Control over the view of popular products is in the hands of the admin. 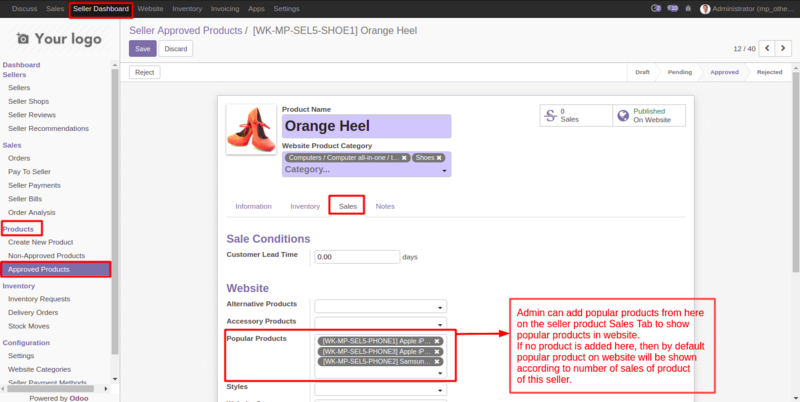 You may easily enable/disable the view of Seller popular products on the website from the Customize menu. On the website, the popular product of a seller will be displayed like this.